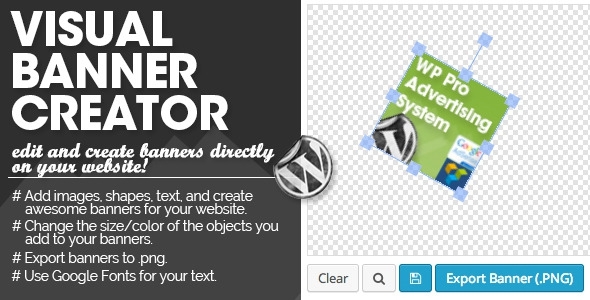 The WP PRO Visual Banner Creator allows you to edit/create banners directly on your website. You can add extra images, shapes and text to existing/uploaded banners on your website! Using the shortcode option you can add the Banner Designer to the frontend of your website and allow users to create their own banners. Designs can be saved including all different layers so you can edit easily your design any time.